The CrowdStrike Store is an enterprise marketplace where you can discover, try, buy and deploy trusted partner applications that extend your investment in the CrowdStrike Falcon Platform. The Store is organized into categories and solution, so that you can install and buy applications all within one unified fully digital experience. Using its purpose-built, cloud-native architecture, the Falcon platform collects, analyzes and correlates more than 1 trillion security events a week from across the globe allowing CrowdStrike and our partners to immediately prevent and detect threats. "We partnered with CrowdStrike to leverage the power of the cloud to offer our joint customers a fully automated platform with comprehensive visibility and behavioral analytics to protect valuable data in real-time." "Interset and CrowdStrike's partnership empowers security teams to better identify and respond to security threats by seeing endpoint data through a new lens, enabling customers to protect high-value information by quickly and accurately identifying unusual, risky behavior before damage is done." Maximize your investment in the Falcon platform by selecting from a variety of apps that help improve your security posture. Organized into categories and solutions, so it’s easy for you to install applications all within one unified experience. Achieve the flexibility and confidence to try and buy free and paid apps from trusted partners. Reach more customers and gain access to thousands of Falcon platform customers by participating in the CrowdStrike Store. 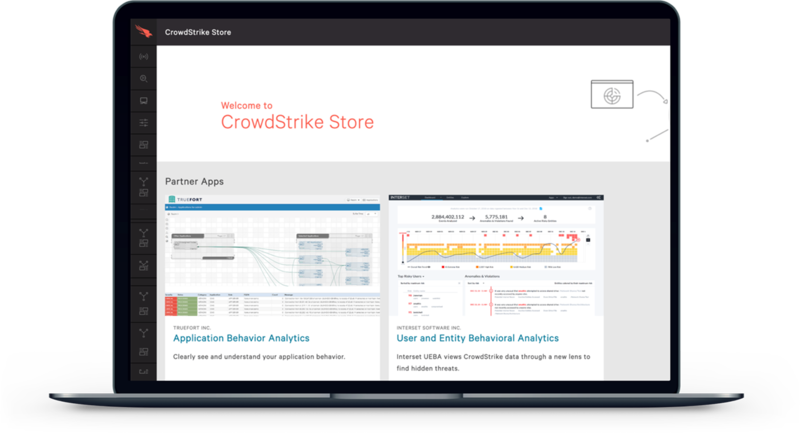 Market and deliver your application via the CrowdStrike Store where you can tell your story, market your app and add-on, offer a free trial and more, all within one unified experience. 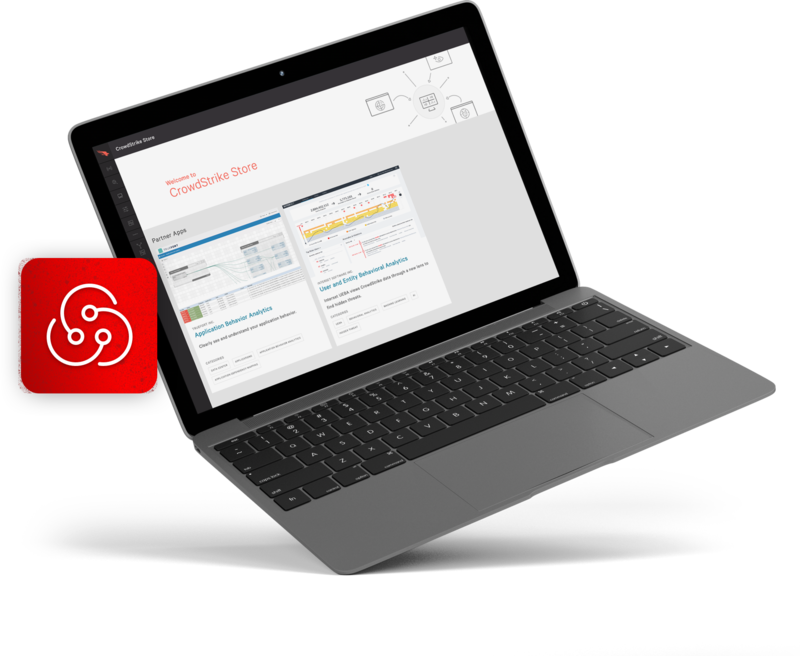 Get the support and help to transact more business as a CrowdStrike Store partner where you’ll have access to development resources, ensuring you can continually solve new use cases for customers and address new business opportunities. 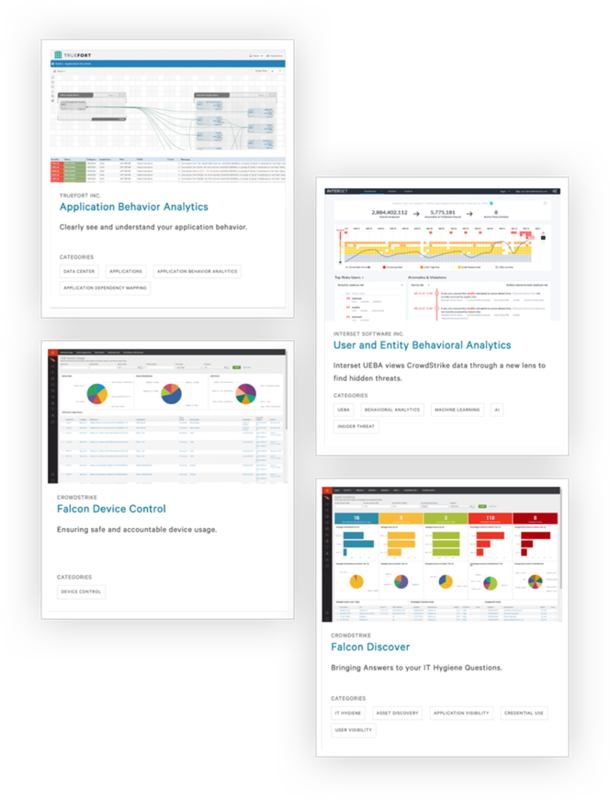 Leverage the architecture and power of the Falcon platform - using our universal agent frees you from having to build an agent; you don’t have to build a cloud platform for storage and analytics - CrowdStrike ThreatGraph is already there for you.